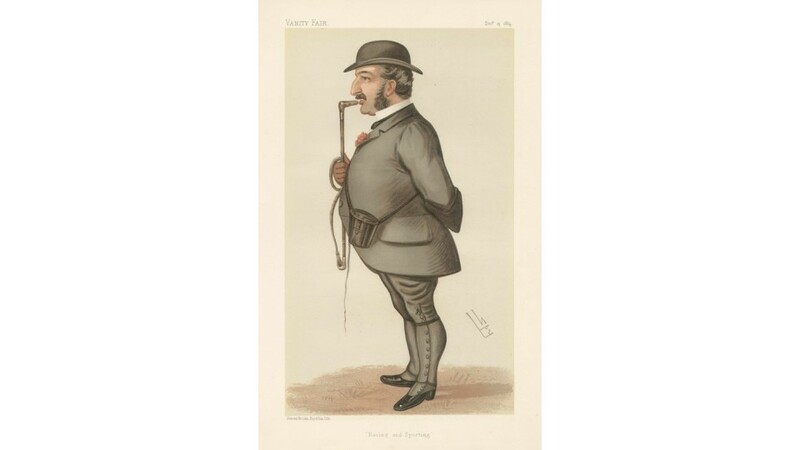 'Racing and Sporting' Vanity Fair portrait of Leopold de Rothschild CVO (1845 - 1917) who was a British banker, thoroughbred race horse breeder, and a member of the prominent Rothschild family. He entered N M Rothschild & Sons in London, the family's banking business. On the passing of his uncle Baron Mayer de Rothschild in 1874, Leopold became head of the family's banking business in London and took over most of his uncle's public offices. 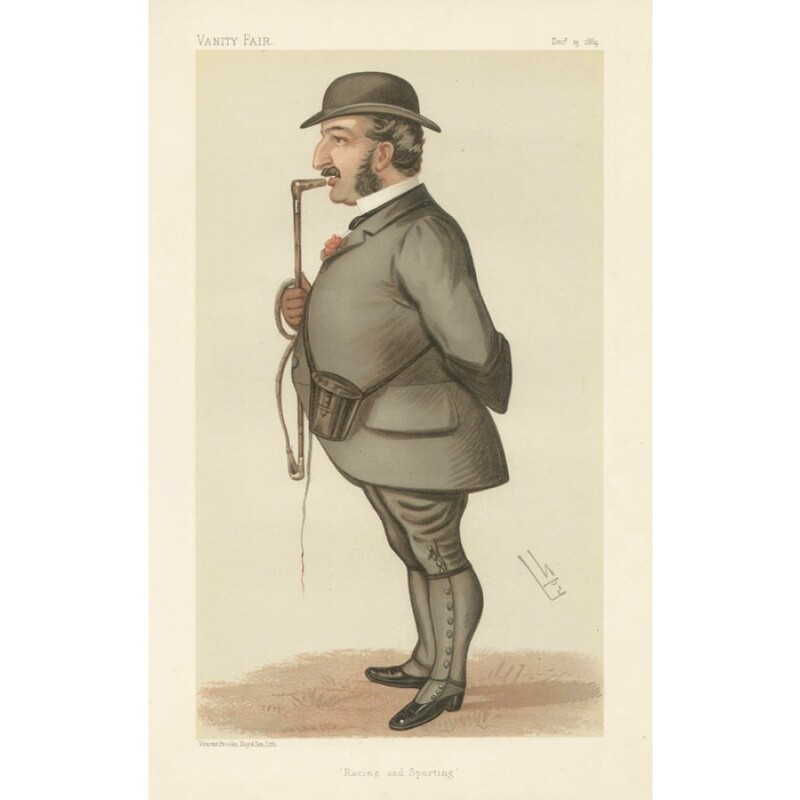 He also inherited Ascott House in Ascott, Buckinghamshire. He later purchased Gunnersbury Park. The mansion today houses the Gunnersbury Park Museum.